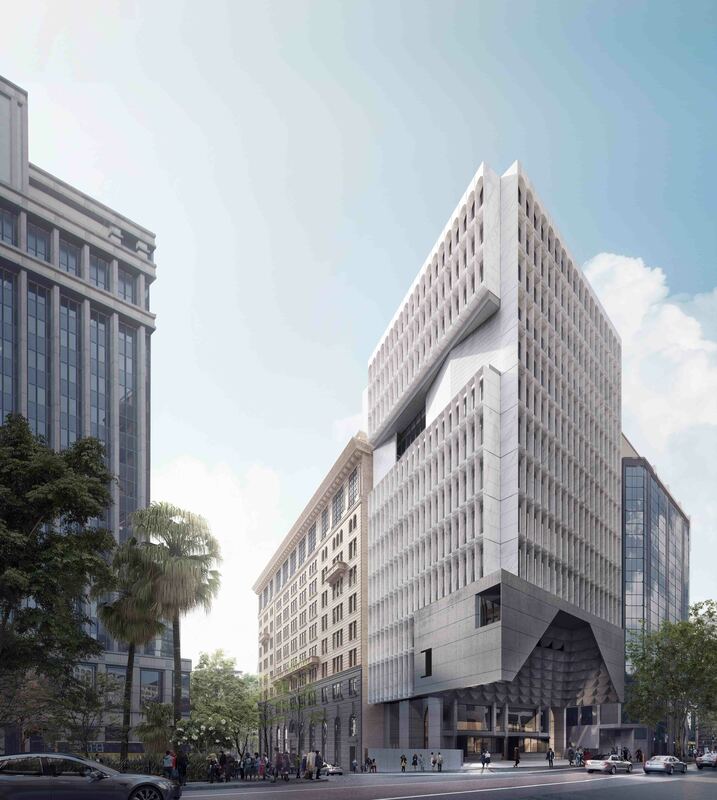 A proposal for a 13-storey office tower on an undeveloped site on Sydney’s York Street has been featured in the Urban Developer. Two key aspects of the design ensure the two buildings interrelate visually from the public domain, and through the joining of all the new floor levels exactly correspondent to the existing property. White marble will sit adjacent to the old bank’s existing sandstone exterior, which Candalepas describes as “a very rich but subtle play of light and colour”. 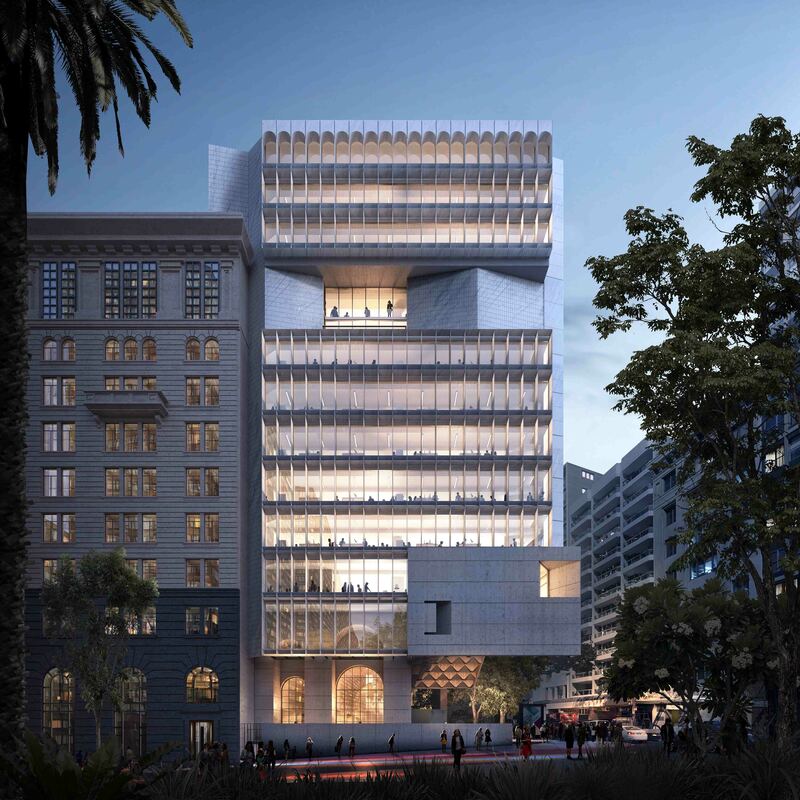 Candalepas said glass lifts will service the newly-joined building creating “a glass veranda” accenting the heritage building. “It needs to have all the aspects of the existing building renewed in a way that makes beautiful things emerge from the old. 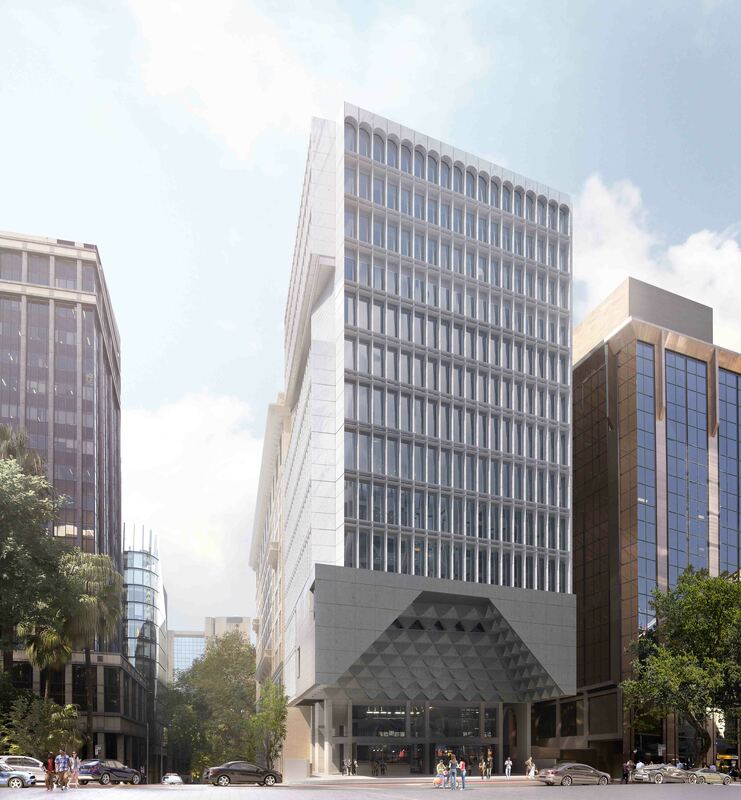 It will end up being attractive for our client and the city of Sydney,” Candalepas said.